Is it springtime yet?? Seriously so excited for spring. Pretty weather and more importantly pretty fashion! 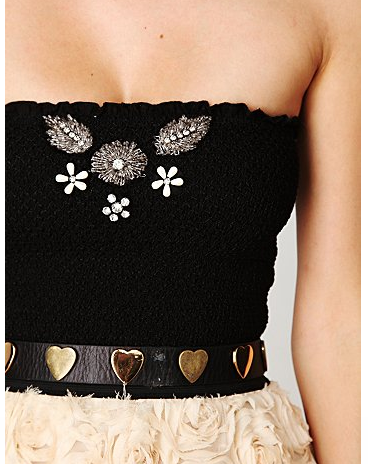 I love this fringe belt from Free People. 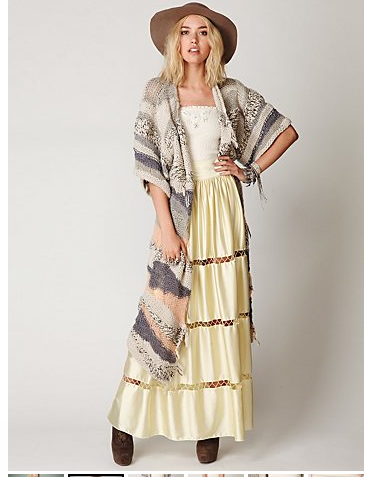 It has that spring boho feel that I’m craving so bad lately. The Hendrix Fringe Belt is on sale right now. It’s marked down 65% off from $108.00 to only $39.95! Now go buy this belt immediately…..your closet deserves it. Loves me some fringe!! Giveaway Monday: Stitched & Adorned Tunic! Happy Monday Everyone! I want this to be the best week ever for you- don’t let me down! I was so excited about this week’s giveaway that I just had to put it on and make it into an outfit! Stitched & Adorned is an amazing company I stumbled upon. You could say I instantly fell in love. Here’s what sold me about S & A: nothing they sell is over $50! Fifty dollars, dolls. I absolutely love that because it goes to show that fashion does not need to cost a fortune! It’s all about how you accessorize and personalize your outfits. Mix old and new, timeless pieces with the trendy ones, and unexpected colors and with different patterns. The beauty of mixing and matching is that whatever you wear becomes YOU. And guess what? Nobody else in the world can ever be you. And you can’t be them. But why would you want to be? We are meant to be ourselves. So make what you wear everyday reflect that! And by doing that you will inspire others to do that too. Tunic: Stitched & Adorned, tights and bracelet: Forever 21, belt: H&M, boots: Isle Jacobsen, silver necklace: antique, color necklace: SoJo Boutique in South Jordan, Utah, and the slip under the tunic is Free People. The color of this piece is perfection- almost neon which is huge right now! And I love the length…oversized is the way to go! It lets you wear your clothes a million ways. You could tuck it in and wear it with jeans, pair it with leggings and a cropped top, or make it look more like a dress like I did by wearing a longer piece under it! So adorable. So unique. Everyone will love what you are wearing. A total winner. Speaking of winning-make this piece from Stitched & Adorned yours! You really can’t pass this up friends. How to win? You must subscribe to the blog and then go wild posting all about this on your Facebook, Twitter, Pinterest, email, and comment on this blog! The more you share, the more you win, so get started now!! Ready, set, GO. I’ll post the winner on Friday, so stay tuned! So I know I keep doing online deals but honestly? These shoes are incredible. I’ve loved this first pair for months…I am SO happy they are on sale now! Both pairs are from Free People. The first is Charmene Platform, originally $198 and now…$99.95! Amazing right? I can’t stop looking at them. They’re so beautiful. This second pair are also from Free People. 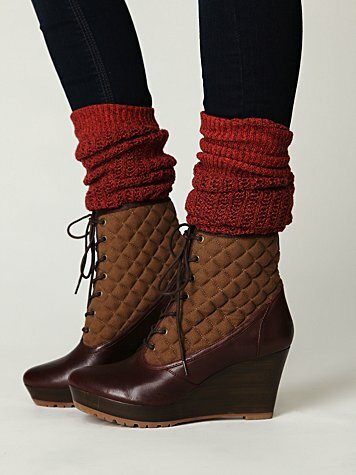 They are the Monte Rosa Quilted Boot, originally $178, now…$99.95! So great. I’m obsessed with these too. So great. So there ya go!! Hope you call take advantage of these amazing shoe sales! Happy Shopping! We Are Going to Liven Things Up This Winter With…COLORS!! Have you noticed the change of scenery around town? I’m not talking about trees…I’m talking about clothes! For some reason everyone starts wearing super boring colors when it gets cold outside. STOP!! Just because it feels dark, cold, dreary, gloomy, etc. outside doesn’t mean you have to match that. You should wear bright, vibrant colors to stand out from the crowd! Not always, just sometimes. And it doesn’t have to be colorful everything…just a bright necklace, a colored pair of pants, and bright cardigan, etc. Here are some examples of great ideas for winterized colors. You can find lots of these sort of items at J. Crew, Nordstrom, Free People, H&M, Zara, etc. So, stop wearing all dark and neutral colors and liven things up a bit this winter! Believe me, people will notice. Maybe it’ll even catch on! We can always use more color in our lives.